The words “180 Gram Vinyl” have been the cause for many misunderstandings and debate among the audiophile and vinyl records community. Unnecessarily so, I would say, there is nothing magical about heavyweight vinyl, and certainly some myths float over those shiny 180g stickers on the record covers, but that doesn’t mean there are no benefits from pressing 180g or even 200g vinyl LP’s. Shortcode error: Shortcode error: recordlist id not found. Vinyl record weight has very little to do with the sound quality of the music engraved in the grooves. The technical standard by which grooves are modulated and cut on the record surface is exactly the same on all vinyl records regardless of weight grade, the dimensions of the grooves can only be cut within the scope of that standard, and we are talking about extremely small dimensions at the micro-metric scale with such tiny variations that any vinyl weight above 100 Gram (probably even less) provides the necessary physical support for pressing sound grooves according to the standard industry specifications. Sound quality on vinyl, as well as any other audio format, depends mostly on the type and quality of the source that was used for mastering, and ultimately on the quality of the mastering process itself as well as equipment used to execute the mastering / cut of the lacquer. – The disc, the object itself, is more robust and durable. A 180 Gram LP is not only more satisfying to handle and place on the turntable, but it also offers more resistance to a more aggressive manipulation, adverse storage conditions and other possible abuses that can be inflicted over the years or decades. I’m not referring to groove wear from being in contact with the stylus, that is just the same for any vinyl weight grade, but still there is an obvious advantage to the robustness and durability of the vinyl disc as a physical object, offering more resistance to breaking or to becoming warped, and other potential damage. – There are mechanical advantages from using heavier vinyl on your turntable, basically it provides a more stable platform for your stylus and cantilever suspension, and probably better isolation from unwanted vibration that can actually cause some sound degradation at this micro-level where the pickup is working. This effect is not much different, from a technical standpoint, from changing the platter material or increasing the platter mass on your turntable, or using a different platter mat… you can see the heavier vinyl record as a type of physical upgrade to your turntable, that will make a difference similar to other upgrades. – Thicker (taller) vinyl profile might change the sound characteristics of your cartridge, for the better or worse, by changing the VTA (Vertical Tracking Alignment) of the tonearm in relation to the record surface, this can be audible or not, and it can change sound to the better or worse depending on how your turntable is setup. – Historically, there is an implied quality standard associated with 180 Gram vinyl, or 200 Gram vinyl. When these heavyweight pressings first appeared, they represented a higher quality standard being applied to the entire mastering and manufacturing process, so in the end it usually resulted in much better sound but not only because of the heavier vinyl, it was just like today a matter of using better sources (Original Master Tapes) and improved mastering techniques. – Some labels, namely Classic Records with their Quiex SVP (Super Vinyl Profile), and Mobile Fidelity Sound Lab with their UHQR (Ultra High Quality Record) that was manufactured in Japan by JVC, have developed pressing techniques using 180g and 200g heavyweight vinyl where the dies used for pressing were designed in a way to make the record surface more flat than regular record pressings. 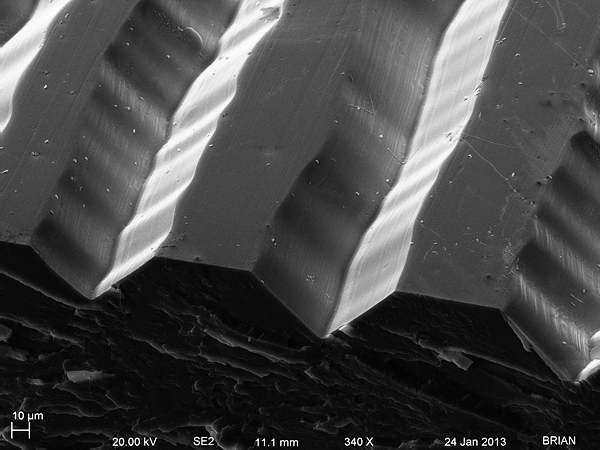 The uneven surface effect where the disc thickness varies from outer edge to center point is a well known issue studied by many engineers and entities related to audio mastering and vinyl manufacturing, the benefits of a more perfectly flat surface for the reading of the grooves are real and undeniable, however the relation of this factor with total vinyl weight and thickness is dependent of the use of dies created with such design, and that might vary from label to label and between different pressing plants. – As part of the vinyl market resurgence that has been going on since 2005 (and growing steady), most labels felt the need to make the vinyl record more attractive for consumers, as if they were justifying the vinyl release (or reissue) with the heavyweight grade and that Quality Standard perception that I mentioned before. There’s nothing wrong with this, on the contrary it shows a genuine effort to push forward the vinyl comeback by offering higher quality standard that consumers value and enjoy. – The somewhat unexpected growth of vinyl sales, and that effort to make vinyl releases more appealing by making 180 Gram pressings, resulted in many pressing plants being much more specialized in pressing heavyweight vinyl records for the last 10 years or so, actually the 180 Gram pressing has now become the standard pressing for most factories, meaning that cost is no longer a determining factor when a label chooses to press on 180 Gram vinyl. It is more expensive because it uses more raw material, but the perceived added value by consumers more than compensates the marginally higher investment. 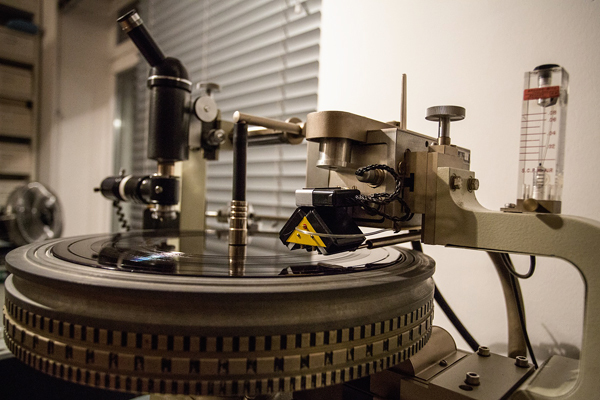 – Since cost, and technical expertise, are no longer determining factors, this has opened the door for almost any label, good or bad, big or small, to press heavyweight vinyl records. With the added bonus that “180 Gram Vinyl” is usually perceived by consumers as higher quality, specifically higher sound quality. So, where does that leave us? Well, right at where we started… 180 Gram Vinyl is not magic, and it’s really not a solution to any major problem. It’s additional value, and can represent higher quality production standards, just as well as it can be used by labels with extremely poor quality standards. It is very important to focus your attention on what really counts: Who mastered the record? Where was it mastered? What sources were used for the mastering process? Where was it pressed? And only then, secondary factors such as Vinyl Weight Grade become additional value and a good reason to buy a vinyl LP. Don’t let the 180 Gram sticker alone put you off buying a great LP… but also, don’t let it alone be the major deciding factor when buying a record. It’s not magic, but it’s not to be dismissed as “gimmick” because there are in fact many benefits to heavyweight vinyl pressings when that is part of a bigger picture of quality production that includes quality mastering from the best sources to achieve a result that is a better product in all areas. 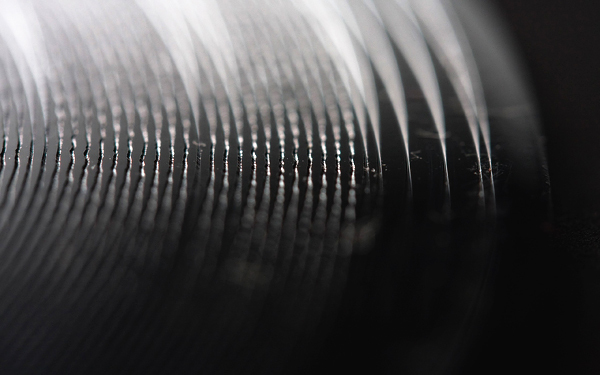 The case for Vinyl in the Digital Age… or: Why does it sound better?